Create Stunning Results with More Complex Designs! 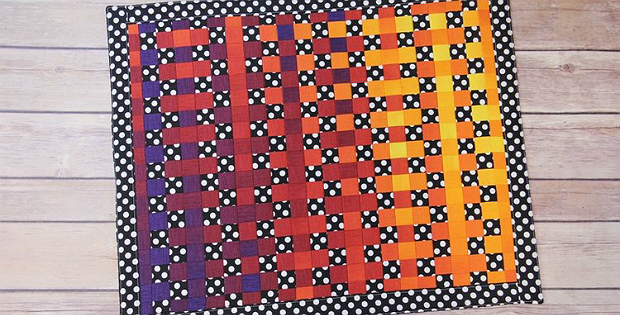 Strips of fabric woven together were used to create the top for this mini quilt. It’s a fun technique that’s well worth learning, as it can be used many different ways. Part of the fun of the process is not knowing just what the final results will be until the weaving is completed. Choose fabrics that work nicely together and give it a try. You may find yourself completing more than one project just for the fun of watching them come together. 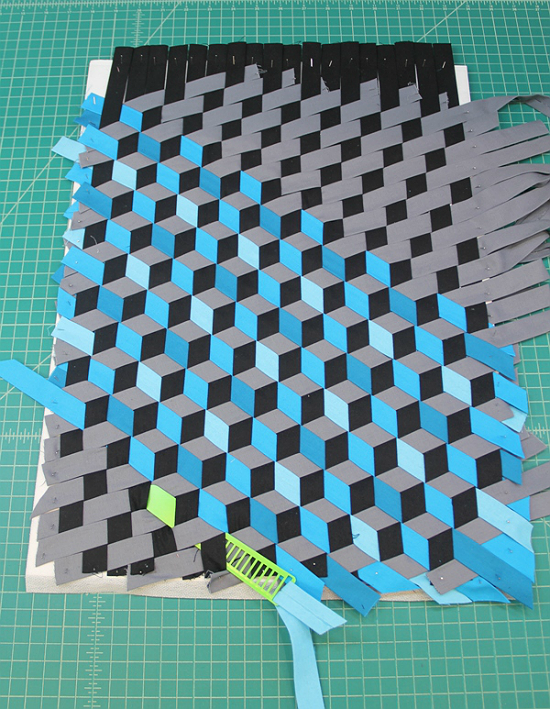 Crafty Staci provides excellent instructions to get you started with fabric weaving. 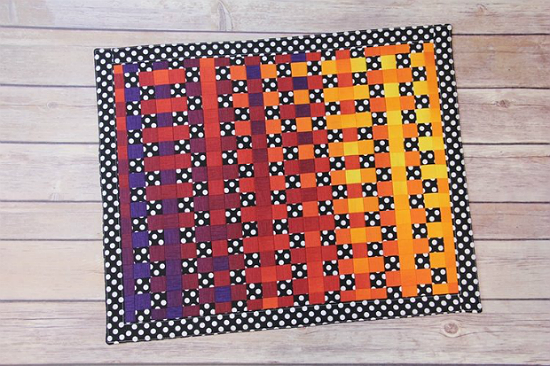 She started with 1 1/2″ strips of fabric for the mini quilt and used a 3/4″ bias tape maker (18 mm) to prepare the strips. A WEFTY Fabric Weaving Needle helps tremendously with the weaving process. It’s the easiest way to produce a nice flat weave. Click here for the “Fabric Weaving Mini Quilt” tutorial. The design of the mini quilt is simple and straightforward. More complex weavings can also be created and used in clothing, bags and other projects besides quilts. Mister Domestic, Mathew Boudreaux, has done a lot of experimenting with the process. The video below will show you some of his exquisite creations. You’ll find the rest of his “Fundamentals of Fabric Weaving” video series here. Click each image to go to YouTube and view the corresponding video. 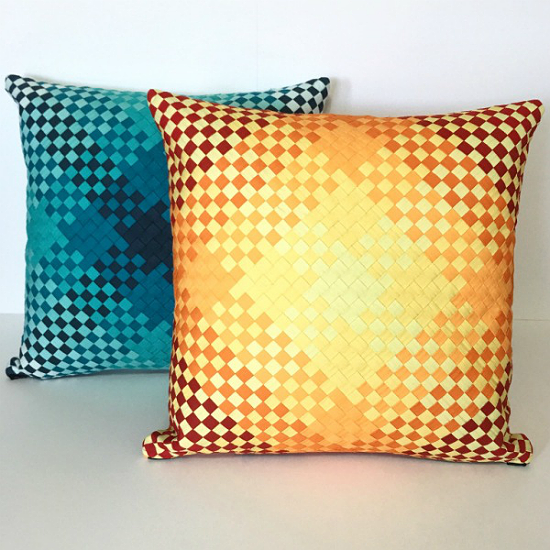 Do You Wish You Could Quilt?